It took me a while to figure out there is a big difference between short term memory loss and memories. Once I did, Dotty and I began living our life. It seemed so simple after a while - the deeply forgetful can remember more than we can imagine. I thought, why is everyone so obsessed with memory? What they should be obsessed with is memories. I'm sitting here thinking about when I first realized that Dotty was living with dementia. No other word to describe it -- Burden. An enormous psychological and emotional burden. When I first dropped out of the world to take care of Dotty a few people understood, most didn't.A few people immediately understood. Most people were surprised. I was surprised that they were surprised. I thought, if not me, who is going to do it? Caregiving is an act of love. Is that so hard to understand? In the beginning people asked, how long do you think you will be doing this? I answered a year or two. Yes, I was brainwashed. I was a victim of the stigma attached to Alzheimer's. I figure Dotty would go into a black hole soon - real soon. I figured before long Dotty won't know me. That I would have to get professional help, or put her into memory care. After about 4 years, after I had rewired my brain, gotten educated, and understood Alzheimer's better, when asked how long I said, "at least one more day". By then I realized that Alzheimer's is not an automatic brain death, that you could live your life (we did), and yes, there is more there than you can ever image in the brain of a person who is deeply forgetful. Right up until the end, Dotty proved to me over and over that she could do more than I could imagine. After more than 8 years, she could do more. At the very beginning, I did worry about the day that Dotty would no longer know me. Would she come to believe that I was Franny, her husband, my dad. Or, would she just not know me. This is one ugly upsetting thought process for sure. It isn't easy sitting in The Front Row. Is it"
Around the four year mark, I had completely forgotten that Dotty was LIVING with Alzheimer's. I just forgot. Well like 90 percent of the time. I forgot - once I started thinking of Dotty as deeply forgetful. This happened once I crossed over into Dotty's World. I now call this Alzheimer's World. After the second year, I spent most of my time worrying about one thing, quality of life. How could I bring to Dotty the highest quality of life possible? Took me a while, but I figured it out. Looking back it was a good trade off. I brought the highest quality of life to Dotty, and she brought me Joy. An enormous feeling of Joy that is not easy to describe. Once I forgot that Dotty had Alzheimer's I worked hard to try and improve her behavior. I have no doubt that Aricept helped. The combination of Aricept and Namenda really helped improved her behavior. This is my belief, and I am not the only one. Dotty's behavior improved constantly for the last 4.5 years. Near the end, the last six months, she was sweeter than a Georgia peach. And now to memory, and memories. Our male neighbor upstairs had been there for about 7 years. Dotty didn't remember his name. On the other hand, we started going to the Banana Boat (BB) around the same time he arrived on the scene. When we were there Dotty would often ask, where is Helen? Helen was like the mayor of the BB. She was the first one that came over and talked to us. She talked to Dotty every time we went to the BB. Importantly, Helen talked to Dotty in exactly that same way she would talk to you or me. Some people don't see Alzheimer's. They see the person. Dotty could also remember Greg. Although she sometimes asked, where is Craig? Close enough. So why was it that Dotty couldn't remember Julian's name, a person she saw every day, but could remember Helen and her name, and she only saw her once a week. It is obvious isn't it? It had to be because of the way Helen treated Dotty, and how she somehow imprinted herself in the part of Dotty's brain beyone the hippocampus. After many years, I finally realized it is not about memory, it is about memories. Memories. Nobody was better than Joanne for bringing memories out of Dotty. Somehow Joanne would put Dotty in the WayBac machine, and away they would go. It was often interesting and sometimes crazy, those memories. It really didn't matter, Dotty was remembering the past. One hundred percent of the time this would put Dotty in a good mood. The effect by the way is cumulative. As Dotty became more comfortable in her new brain, she became more trusting, more understanding, and nicer. Way nicer. Dotty settled into Alzheimer's World, and so did I. Mission accomplished, her daily behavior improved. One night I was watching the HBO show Treme. Out of the clear blue sky Dotty starts singing along with the character on TV. She is singing a song I never heard in my life. A Ghost of a Chance was written in 1932. It was first sung and made famous by Billie Holiday. Later it was modernized and re-recorded by Frank Sinatra. The above experience really turned me on and energized me. I thought, why is everyone so obsessed with memory, what they should be obsessed with is memories. After a couple of days I thought, lets bring on the memories. I started asking Dotty questions like where did you go to first grade. She answered, Baldwin. Hmm, I never heard of it. So I looked it up on the internet. Sure enough, about 2 blocks from where Dotty lived at the time. 1922! At this point, I started turning on the Swing music channel every day. Sure enough, Dotty would start singing every once in a while. So I assumed the music must be getting through. It was bringing back the memories. Let me ask you a question? Why do you think that Dotty with a score of 14 on the MMSE. With a detailed diagnosis of moderate to severe Alzheimer's in January, 2010, could still do so much. She could read, get the 3 letter words in the crossword puzzle, read the billboards on the road, read the street sings, and marvel at the giant Banyan trees and Oleanders? Jim, Ruth, Jeanemarie, Joanne, Helen, Greg, and others didn't see the Alzheimer's. They talked to Dotty in the same way they always had. They helped to keep Dotty not only mentally active, but also from falling into the dark hole. They brought out the memories. 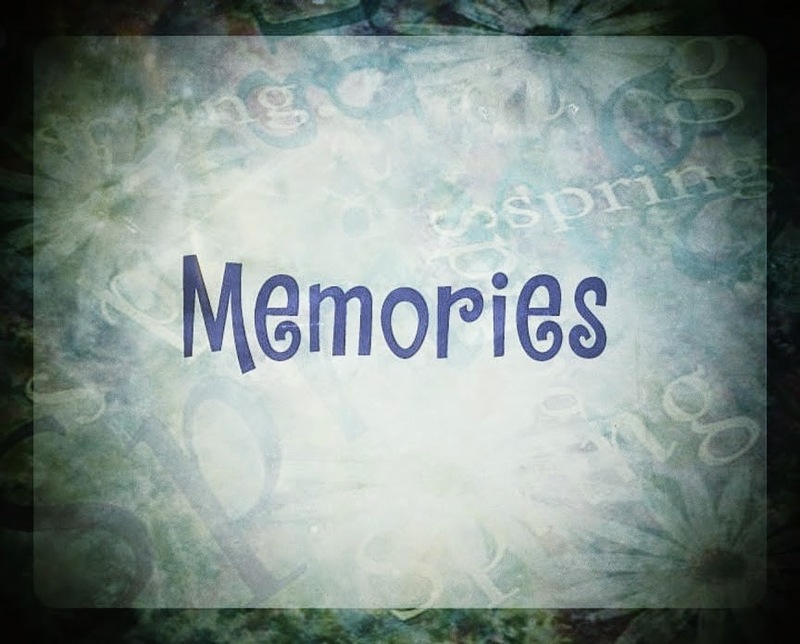 Memories are important. Leverage them up. Keep them flowing. You might be surprised by some new and interesting information you never before heard in your life. A story about something that happen 50 or even 80 years ago. It happened to me quite a bit when I stopped obsessing about short term memory loss, and plugged Dotty into the WayBac machine.